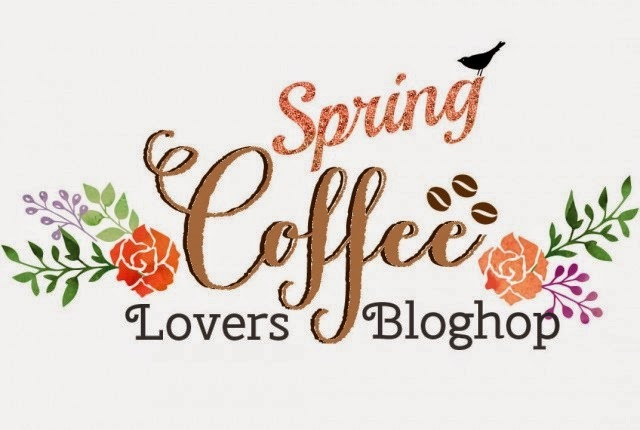 I LOVE COFFEE and I LOVE Blog Hops! 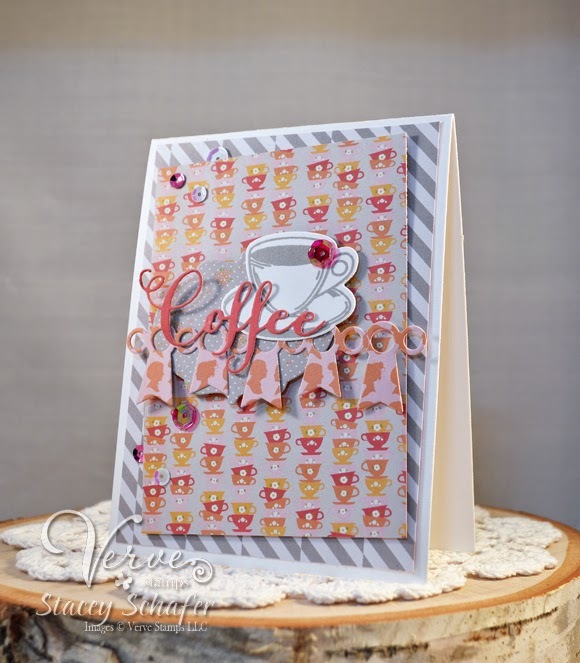 I used some sweet Chickaniddy Twirly Girly papers and a whole kit-n-caboodle of my favorite coffee-themed stamps, dies and embellishments from Verve Stamps! 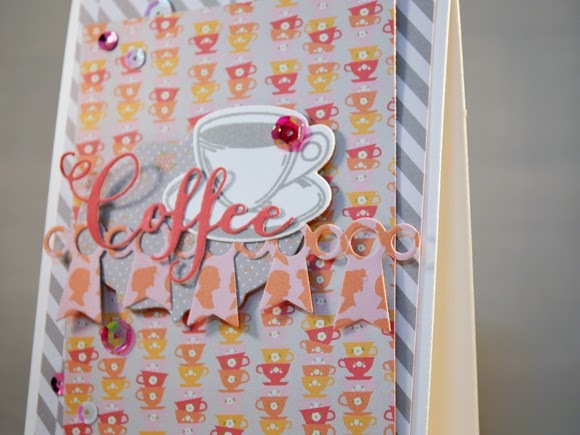 The fun coral, pink, and gray papers were cut and layered up on this Coffee card! The Verve die cuts were clustered together to create depth and texture, then sequins were added here and there for some shine! 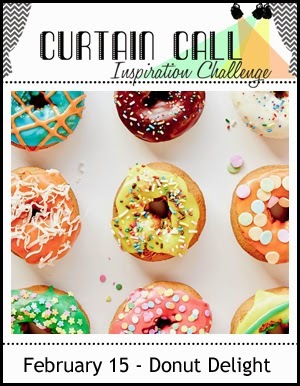 There's still time to play along with Donut Delight challenge at the Curtain Call! 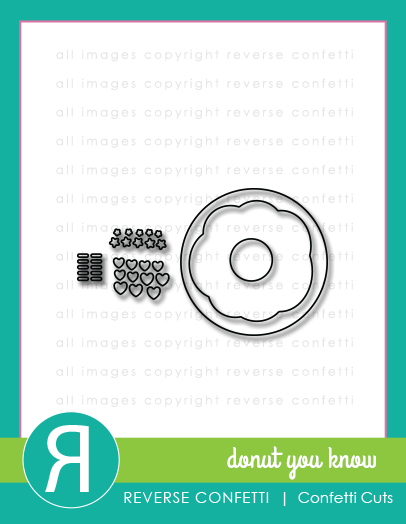 I had to grab for my favorite DONUT stamp set and dies from REVERSE CONFETTI to create my card today! What a fun challenge to play along with! 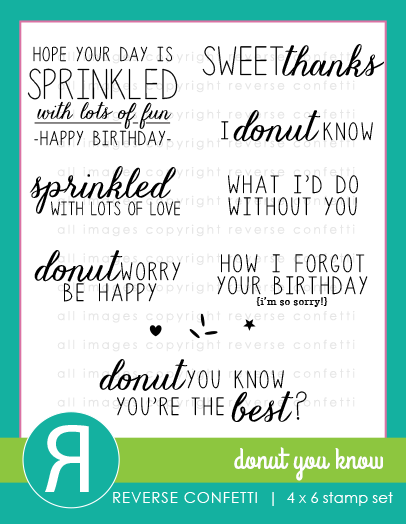 Hope you'll join us over at the Curtain Call and play along with Donut Delight! 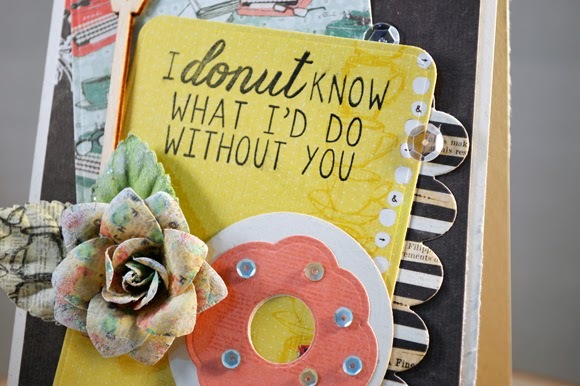 I used some yummy Prima Coffee Break papers and flowers... and a few Pretty Pink Posh sequins as donut sprinkles on my card! 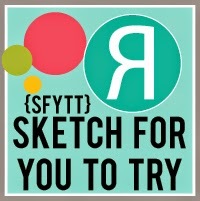 Head on over to the Viva la Verve Sketches Blog and play along with the new sketch! 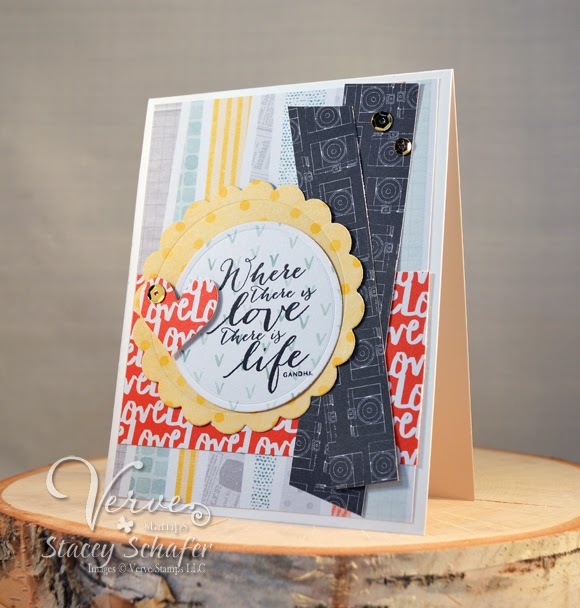 I used some fabulous Verve goodness on my card today! SRM Stickers - Oh, Happy Day! 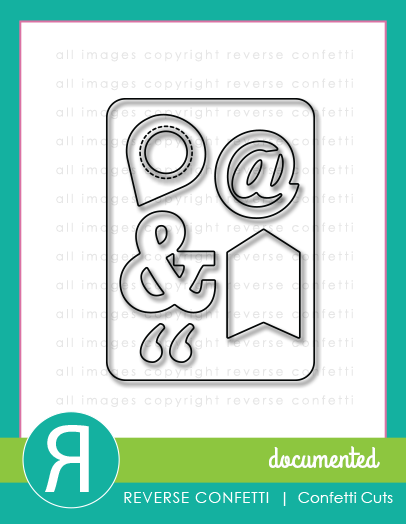 I'm up on the SRM Stickers Blog today with a watercolored take on the new stamp line, Jane's Doodles, at SRM Stickers! 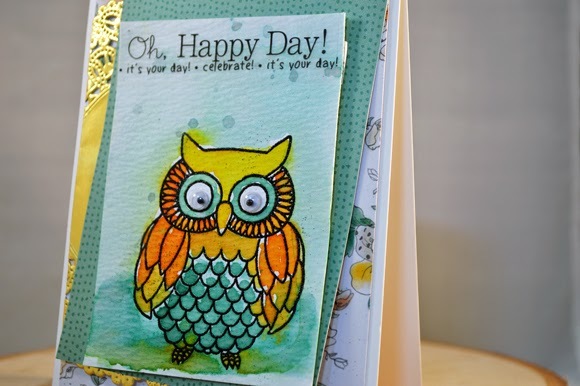 I stamped the fabulously detailed owl from Jane's Doodles Clear Stamp/Wise Owl with Versamark ink and heat embossed it with black embossing powder. 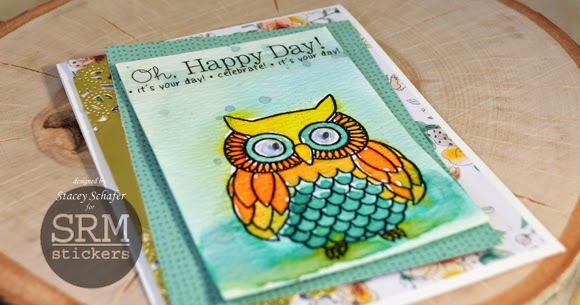 I watercolored the owl and background with yellow, orange and green diluted distress inks and let dry. The fun part of watercoloring is it allows you to get a little messy, er, artsy! I diluted the distress inks more or less, creating different shades on the owl scene. I added a couple of wiggly eyes and Stickers by the Dozen/Birthday Birdie across the top of the focal panel. There's a peek of one of the Gold Lace Doilies - 4" Round to add some shine. 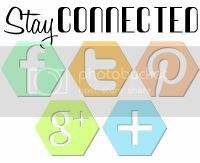 I hope you are inspired to add some watercoloring to your stamped and embossed images for an artsy look, too! There are lots of family members who have spring birthdays, so you'll be seeing quite a few birthday greetings from me in the coming weeks! 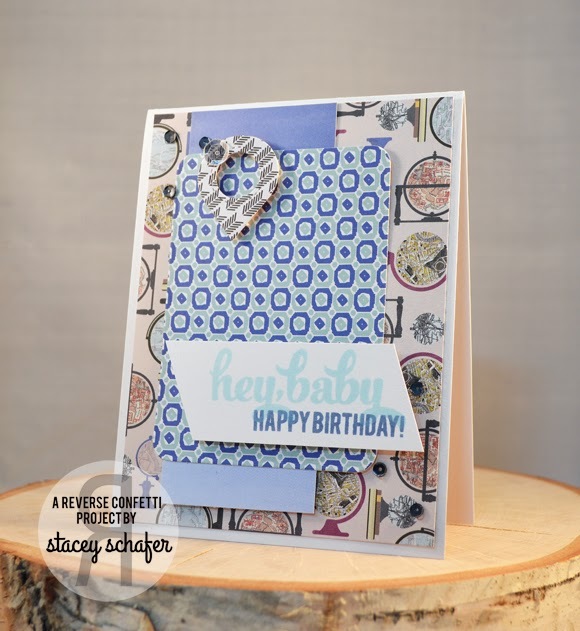 Today's card is for my sweet hubby's March birthday...I went for a masculine look with some twinkling blue to match is amazing eyes! 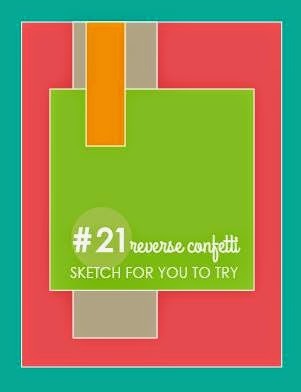 There's still time to play along with Reverse Confetti's February Sketch For You To Try! 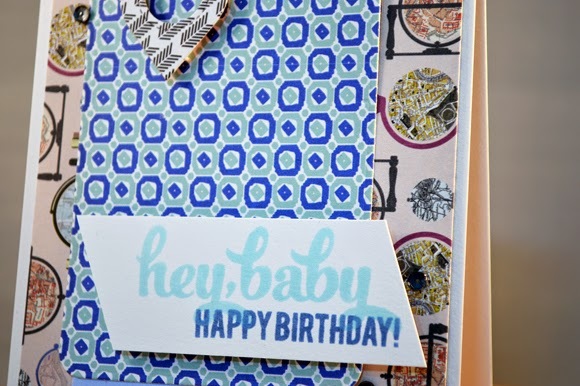 For starters, the Carta Bella Wildflower patterned paper was selected for a trendy and masculine look. 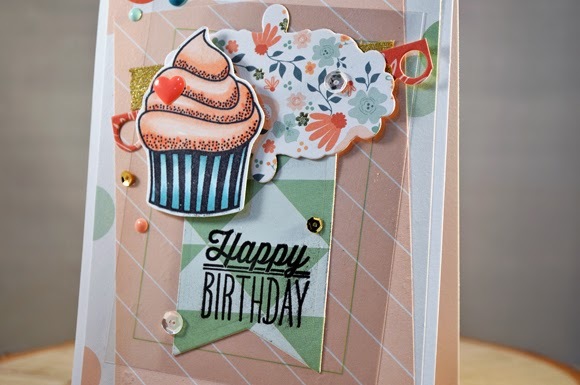 I layered up a the Documented Confetti Cuts panel and embellished with the geo tag, then added a Here's the Story and Celebrate Cake sentiments tag stamped in a couple of shades of blue. 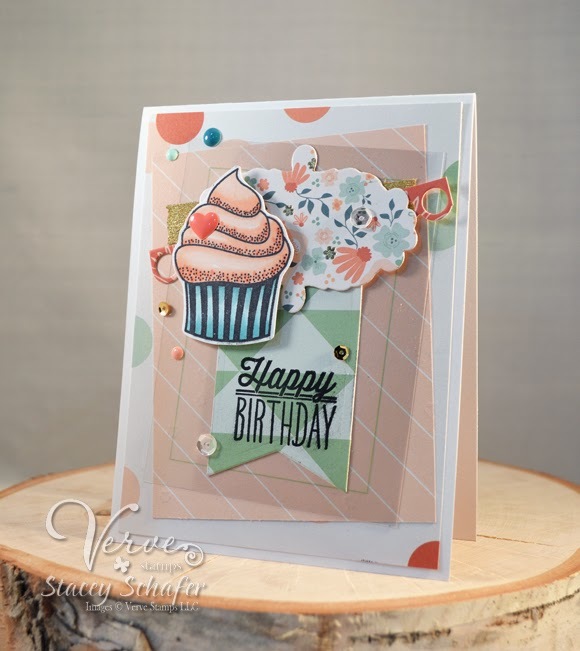 A few Pretty Pink Posh sequin sprinkles add just the right amount of movement to this hubby birthday card. Hey there, SRM Stickers friends! 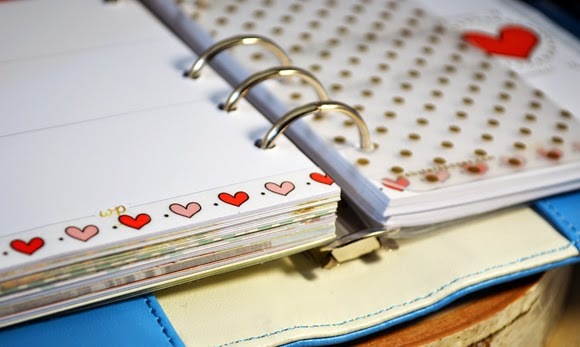 I'm up on the SRM Stickers Blog today with a little SRM Stickers LOVE in my planner! 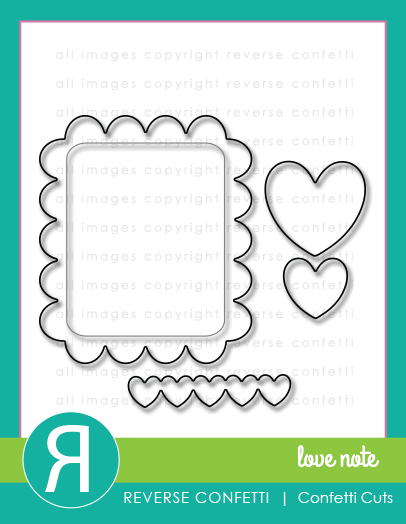 For my Valentine week layout, of course some SRM Stickers Valentine-themed stickers were in order! 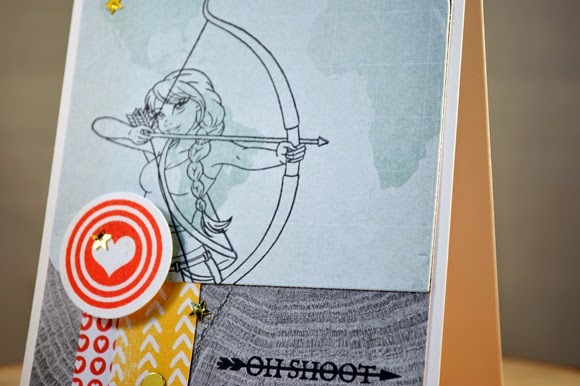 Here you see that I used Stickers by the Dozen/Valentine to decorate that special day, We've Got Your Border/Valentine for the bottom edge of planner pages, and a Baker's Twine/Blossom bow attached to a mini wooden clothespin to mark the page. 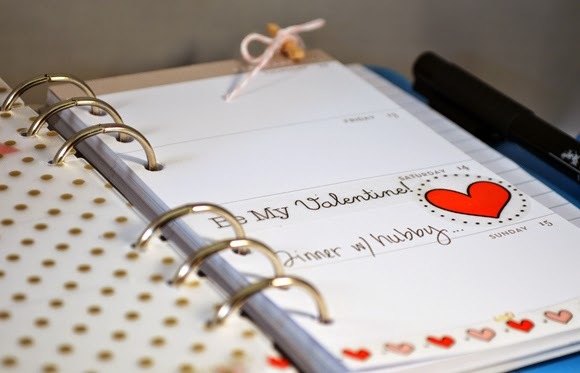 On the top of this page, I added a Labels by the Dozen/Valentine...love that pop of red! 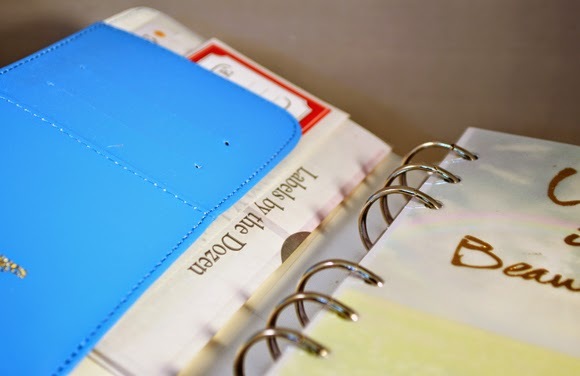 Here's a peek at the front pocket of my planner that holds my extra SRM Stickers. 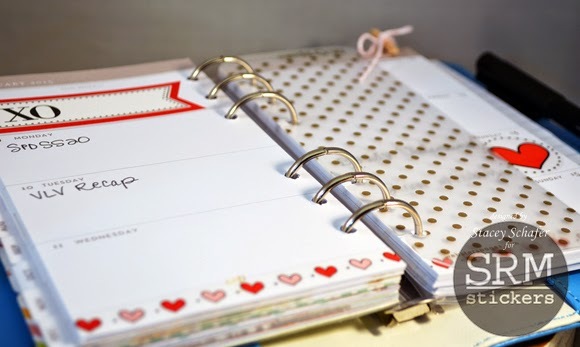 SRM Stickers are PERFECT to use in your planners! 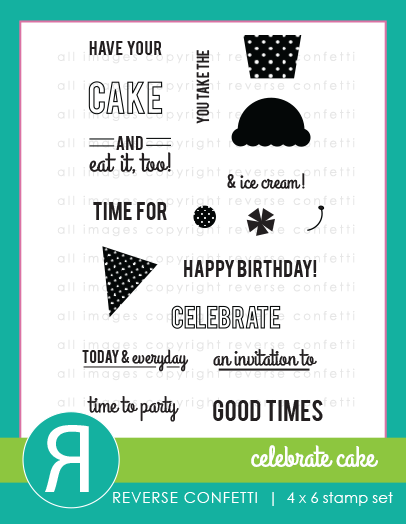 I hope you're inspired to embellish your planner with some yummy stickers, too! 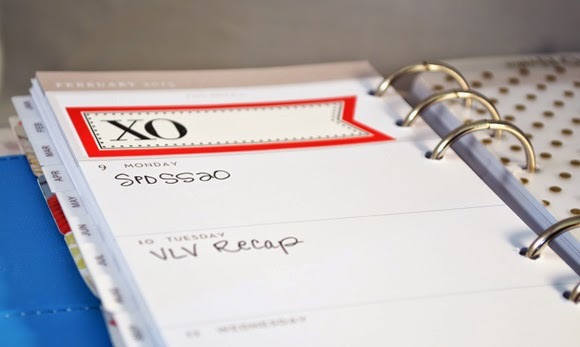 I'm up on the Viva la Verve Sketches Blog today with this week's recap and viewfinder. The awesome sketch inspired me to create this love-themed card! I took a few liberties with the awesome sketch by using a tall rather than wide card base and layered the papers up all cozy an snug! 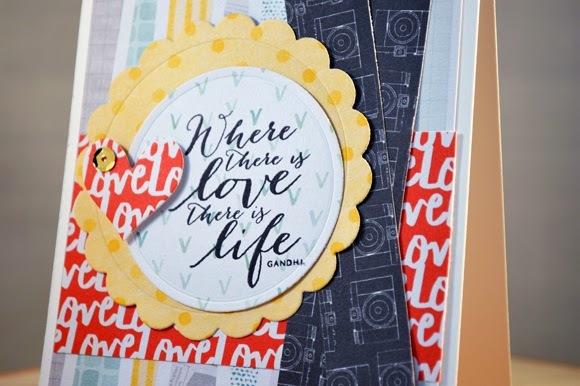 I stamped the sentiment from the More Than Love stamp set over a circle die cut and added a sweet Heart Quartet Die Set heart and a few gold sequins from the Holiday Sequins Mix. 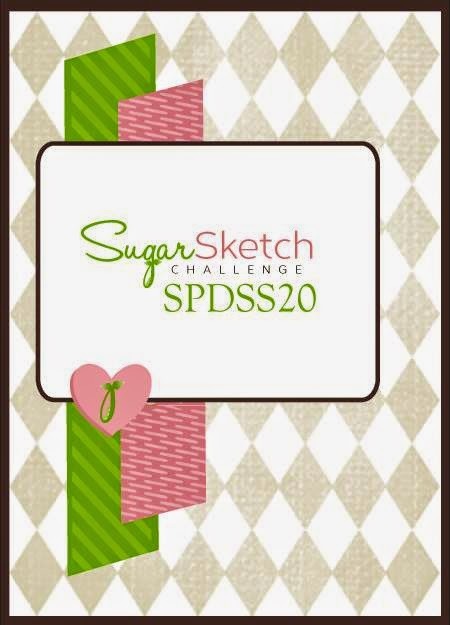 It's time for a new SugarSketch Challenge! 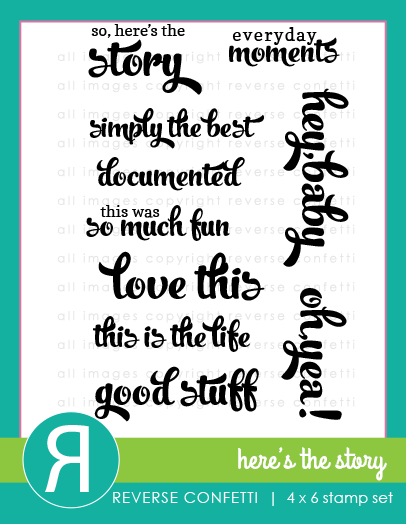 What a fun sketch to work with! So versatile! 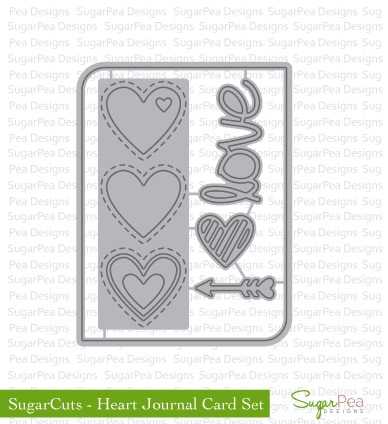 Here are a couple of the awesome new SugarPea Stamps and SugarCuts I used on my card today! 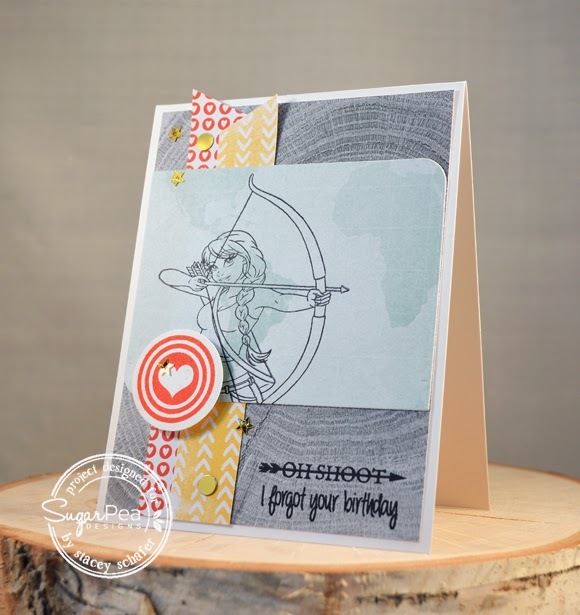 I stamped the lovely archer from On Target over a SugarCut - Heart Journal Card Set piece of patterned paper and layered it over some bright patterned strips and a woodgrain pattern background panel. 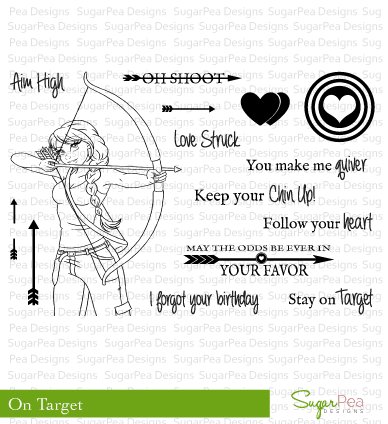 The heart target was stamped in bright red, circle punched and embellished with some Pretty Pink Posh gold star sequins! 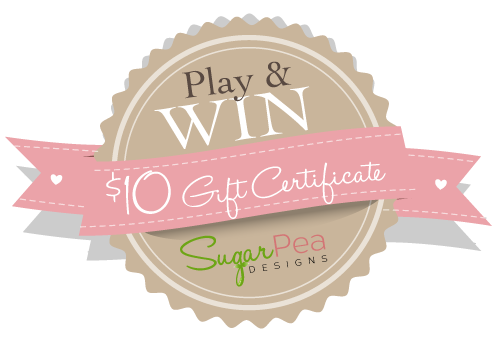 Head on over to the SugarPea Designs blog to see what the other chics created with today's sketch!